Money simply cannot buy everything. It is such experiences that become cherished memories. That is why we have picked some of the best free experiences specific to Croatia. 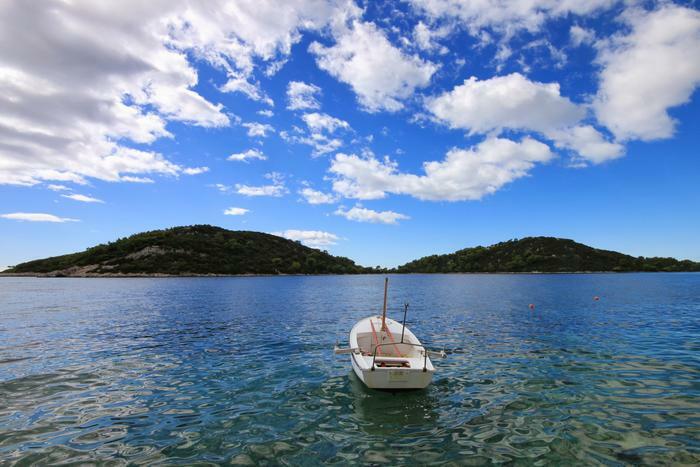 The island of Lastovo is still an undiscovered Croatian gem. But probably not for long. Last year, the Guardian published an article about this island which enchanted its British and international readers. Anyway, until it happens, the relative isolation of this island can be completely enjoyed. The best way to do this is to do some stargazing on the island of Lastovo. Namely, there are not a lot of street lights so the stars and the sky are extremely well visible. Stargazing on Lastovo can be a special experience, especially in the night of 12 August because of the tears of St. Lawrence. Climb to a hilly part, take a blanket and enjoy the meteor rain. It is a well-known fact that the Adriatic sea is one of the clearest seas in the world. That is why swimming in the Adriatic sea is one of the most wonderful experiences you can have and don't need to pay anything for it. Besides that, swimming in the clear sea is good for your health – the climate strengthens the immunity, regenerates the psyche and swimming strengthens the body. Not to mention the benefits of sun for your health! A lot of places along the coast are well-known for their mild and healthy climate and sea health facilities – let's just mention the island of Lošinj which has been cherishing its health tourism tradition for years. Do something different on your holiday. Step out of your comfort zone and explore Croatian places on your own. The good thing is that most of the cities and towns are relatively small so, if you do get lost somehow, there is no doubt you'll get back on the right track in no time. If that doesn't work, you can always ask someone for directions – the Croats are always happy to help. Wandering around cities like Zadar, Split, Dubrovnik or band Makarska and Omiš can bring you close to so many interesting discoveries. Be your own guide – bold and determined! Probably the most interesting and unusual experience you can have on your holiday in Croatia is a visit to the north Dalmatian city of Zadar. At the city's riva you'll find two very unusual art installations which are, in all right, to thank for the growing popularity of Zadar – the Greeting to the Sun and Sea Organ. The Greeting to the Sun is a light installation which comes alive in sunset. That's a flat surface made out of more than 300 light panels which soak in the sun during daytime, and make it into colorful light displays at night. Don't forget to take a photo of this exciting phenomenon! You'll be just as thrilled with the sounds of the Sea Organ, located right next to the Greeting to the Sun. It is yet another unusual architectural construction which makes nice music out of wave splashes. Most cities, islands and places on the Adriatic have viewing points or hills from which you can enjoy the most amazing vistas of towns and their surroundings. Climbing to the tops of these hills is ideal for all active holidays lovers: hikers and cyclists. We recommend climbing to the highest peak of the island of Šolta – Vela Straža (238 m), climbing to the peaks on the hill of Marjan in Split and Srđ in Dubrovnik (but there is also a cable car to take to get to Srđ). We also recommend the Fortica fortress on the island of Hvar offering a view of the Paklinski otoci and Mirabella fortress in Omiš offering a view of the Cetina river.